I suppose it is the real demand for bushcraft and survival information that leads to its counterfeit, otherwise the counterfeit would stand a poor show. 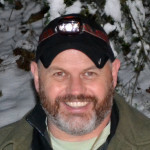 The growing demand for survival/bushcraft within the past few years has called forth a very large crop of TV Shows, YouTubers, Bloggers, & Books; good, bad, and indifferent — shows putting people in strange situations with other people; shows with naked people; shows with people being alone; videos & posts on gear, skills, lists, and essential lists of skills & gear; and then there are the books… on survival, the apocalypse, bugging-in, bugging-out, bushcraft, and even more bushcraft. There is a long list of them. 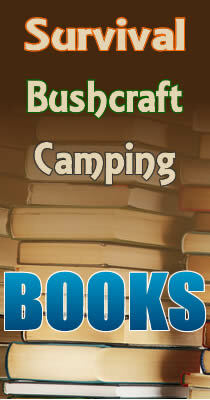 Some of these books (& videos), a very small number, are valuable contributions to our outdoor literature. Some are written to meet a fancied popular demand. The current is setting that way; these ‘producers’ seem to say to themselves, Let us take advantage of it, and float into public favor and into pecuniary profit with YouTube videos, blog posts, and books. The popular love for drama is also catered to, and the two loves, the love of bushcraft and love of fiction, are sought to be blended into survival entertainment with TV shows such as Man vs Wild, Dual Survival, and virtually any reality show on Discovery Channel and alike. It is Discovery’s shows, more than any of others, that justifies the phrase “Sham Survival,” and it is something to which they have acknowledged themselves. But before I proceed with this discussion, let me briefly speak of the books that have lately appeared in this field that are real contributions to the literature of subjects of which they treat. ALL of Mr. Mors Kochanski’s study merit the highest praise. Where some books just speak “of” skills, his instruct why and how do so in a safe manner. Tested and matter of fact, they have a rare delicacy of empirical information researched and field tested over decades by a true scholar. Readers are impressed with the copious yet succinct details of information on the most practical of skills an outdoorsman should know. 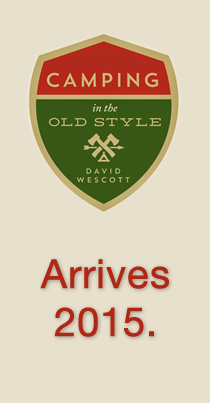 Mr. David Wescott and Mr. Steve Watts books and articles on primitive skills and the history of Camping in the Golden Age are fresh, original, and stimulating productions of a much needed insight into what it is truly ‘all about’. Practical information is but one benefit to their readers, as they also have the power to vividly paint a picture of context as to how people related in our past, how they relate in the present, and most importantly, how to simply enjoy. Of all the books on modern survival in recent years, I look upon Mr. Cody Lundin’s as the best; in reading it, one becomes keenly aware of the psychological and physiological danger that is always lurking. Using words and images you can see as literary effects, we can get the information Mr. Lundin is conveying in such a manner we now know how to apply to ourselves. If you were here with me right now, you would be seeing a sly grin on my face and hearing a little chuckle as I write these words, and this is in fact me — what is above is something I ‘twisted’ from a 1903 article that appeared in The Atlantic Monthly (vol. 91, The Riverside Press; Cambridge). The original was entitled, “Real and Sham Natural History,” written by naturalist John Burroughs. It started what became known as the Nature Fakers Controversy, a four+ year controversy fought in public through the media including The Atlantic Monthly and New York Times. It even involved President Theodore Roosevelt who weighed in privately and eventually publicly. Without getting into too much detail about the controversy, which I encourage you to research on your own, it was a literary debate on nature writing; those such as Burroughs whose view on Natural History was ‘more’ scientific versus authors such as Ernest Thompson Seton, William J. Long, and Charles Roberts whose writings, Burroughs claimed, humanized animals through individualistic characteristics they are said to “have observed”… thus leading to robust sales of their writings. To say the least, this was a very big deal at the time. A Nature Boom was occurring in the country with Outdoor Recreation and Wilderness Protection in full swing. Nature study and Camping were indeed in the forefront as demonstrated by the copious amounts of books and magazine articles on camping and woodcraft from Horace Kephart, E.T. Seton, Daniel Beard, Warren Miller, Edward White and many more. Perhaps the circa 1920 photograph below will demonstrate its popularity in this era. 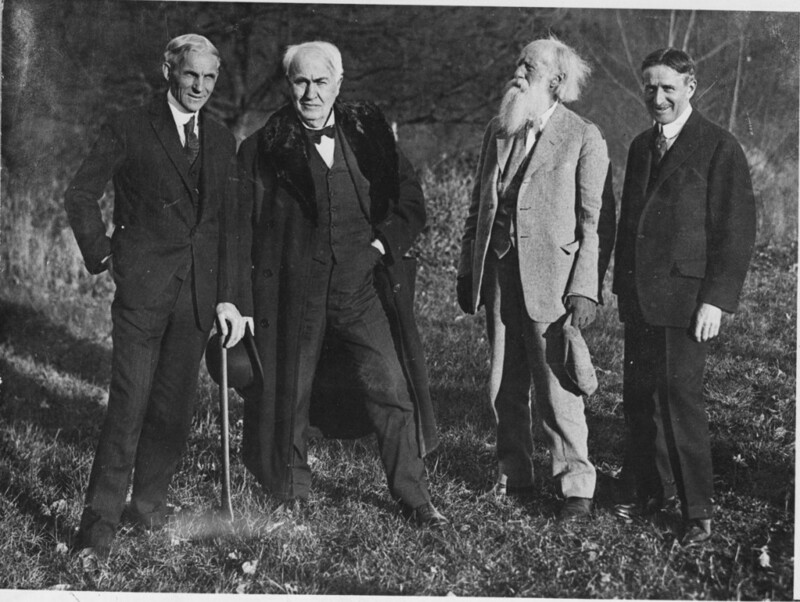 Pictured (left to right) are Henry Ford, Thomas Edison, John Burroughs, and Harvey Firestone. As Steve Watts pointed out to me, if the public were asked to identify the men at the time, the vast majority would NOT know Edison, Ford or Firestone. They would ALL know John Burroughs, such was the sentiment towards naturalists at the time. History tends to repeat itself and there are many trying to screw you out of your hard earned money with the renewed popularity of the Outdoors and Bushcraft/Survival. What’s even worse, these Sham Survivalists are doing it with misinformation, and in one case just recently, our sitting President. For the love of Christmas cookies, step away from the TV and computer. 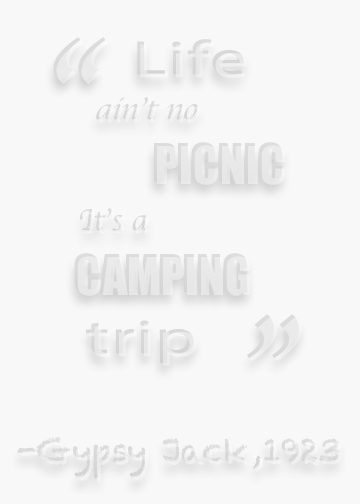 The TV shows are just some drama produced by city slickers that know far less about the outdoors than you. And all those YouTubers, I have seen very few presenting original information — I would argue (and can prove) many stole the information they are presenting as they seldom offer credit to the original source. What’s particularly sad is not only are they taking someone else’s work and ideas, they are intentionally trying to pass it off as their own, and more times than not, they get some or all of it wrong. Those who have been around awhile can spot the fakers right away. And like I alluded, I can’t tell you how many times my stuff and that of my fellow bloggers have been ripped off by other blogs and especially YouTubers. If you saw it on my site and I referenced someone else (which I do all the time) — at least cite the original reference. And for that matter, why wouldn’t you go to the original reference to begin with, seems only smart to me. I am unabashedly a Ernest Thompson Seton fan of which I share this for that reason and a lesson. Burroughs and Seton met and made amends; interestingly, the account of their meeting is somewhat a debate, nonetheless, Burroughs recanted much of his criticism of Seton, but the wheels of bad publicity were already in motion and damaged Seton for sometime after. Seton never publicly criticized his teenage idol Burroughs; nor did he criticize Roosevelt, of which TR never recognized Seton as the great naturalist that he was, yet they remained friends. It was during that time, Seton mostly stayed out of the limelight and instead spent over twenty years compiling pioneering works on north american animals. Like Seton laid the foundation for scouting and woodcraft, he helped lay the foundation for what soon became the sciences of ecology and animal behavior. Ironically, Seton was awarded the Burroughs Medal in 1927. Seton had his issues, but in the end, his work spoke for itself. If you are publicly sharing information, does YOUR work speak for itself? If it doesn’t, man up, grow a pair and make it right. Don’t be a faker. I’ve been like a lone voice in the wilderness crying this at the top of my cyber lungs. I am no expert by any means. I’m not an instructor or a pro or a master anything. I just have this love for Woodcraft and all things outdoors and despite the fact that I myself am a “city slicker”, I’ve run rings around folks raised in the mountains because as has been shown with other city slickers like Kephart and Nessmuk and Seton, what makes the woodsman is not geographical location, but his competency in the woods. Woodcraft was born out of the need for urbanites to return to the woods, especially with The Woodcraft Movement because country folks didn’t need to learn woodcraft back during The Golden Age of Camping. They were living it. Yes, anyone can be an expert online and hide behind a logo and exploding Jerry Bruckheimerish graphics at the beginning of a video, but like you said Christian, show me your work(s). I’ve literally been criticized and mocked for posting nothing but original work that I do. The online world is backwards like Bizarro World in Superman where all it takes is words that tickle the ears and borrowed information to drum up a following. Christian, I had to “share” this same link on my Facebook Group. It just shows that I’m not the only one thinking how I’m thinking, that much greater men than me in the genre are “there” too and it gives me hope and it gives me fuel to carry on with my fight for the evolution of survivalism and the drawing away from sensationalism. 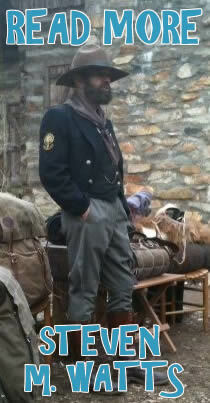 I’m a Tramper of a century ago. I’m a firm believer in stealing techniques and practices from other genres and incorporating them into my own style of camping out like Cheley and Miller and all the others did at that time. They kept the best of yesteryear and filtered in the best of their present day gear to create their own unique loadouts that worked for them in their regions. That in my opinion is the future and salvation of Woodcraft. I’m not the type to jump on bandwagons, they can just roll on by until they have proven themselves worthy of my trust. I don’t know how to thank you for this article other than walking it like I talk it. Thank you Christian. Thanks for the great reply Yankee. Great article Christian. I encourage you to start calling them out. Not because I think the confrontation will be positive, but could act as a deterrent in the future. Thanks Tim. We should, Lord know you have had plenty lifted from you over the years, your bibliography alone. Once again thanks for a well thought out article. I’m surprised we haven’t seen any lawsuits where the person suing says I saw xyz do this on tv, youtube, etc. There is some very bad information being put out over the airways. Since my early teen years I’ve also loved Seton. Gawd, I’ve read this article five or six different times. Each time I’ve composed a comment, but have deleted it, not in the least because I didn’t like it, rather I loved it. But at the same time, I’m starting to sound like a broken record with my rhetoric. And while others may be amused with my thoughts and writings, I’m actually growing tired of saying it, because my giveadamn, though broken, the pieces are turning to dust. I must say, however, Chris, this style is a bit unlike you. If I didn’t know any better, I’d swear your “giveadamn” is breaking also and your starting to call a duck a duck and a spade a spade… I like it! Alan, love talking to you brother. While one should never self-diagnosis themselves, I believe I am developing a split personality. One the one-hand you are correct, my give-a-damn is broken and why bother comes to the surface more frequently. On the other hand, I find myself a more forgiving person and will give what I have to offer more freely, consequences be damned as well. I enjoyed the article. All I would like to say is that there are countless thousands of us who learn, practice and implement what we learn who are quiet and never say a word to anyone unless ask an opinion, always stating this is only an opinion when asked about any certain subject. I have said it to others to youtube performers and I will say it again, that the woodcraft/bushcraft community is chuck full of plagiarism as well as insest. Somethings seem to take on a whole life of there own in a short amount of time. Mostly by people who are trying to sell a products. Take the flashlight advertising as an example. A new flashlight is introduced into the market and over night there are survival channels and bushcraft channels by the score competing on who will have the first video of the stupid contraption. 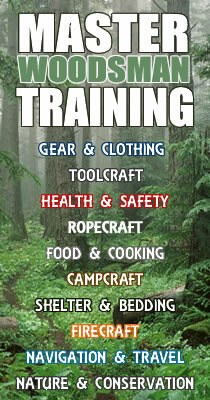 I downloaded the information from this website I believe on the skills required to be a master woodsman or master camper. I try to learn something often in the order it is presented. I am a retired engineer and I must say that is was exponentially more difficult to make a living as an engineer than it is in learning woodcraft/bushcraft skills. If it were rocket science, I know for a fact my ancestors in east Texas, who lived off of the land using their two hands and limited resources would never have got it done. I like the saying “you can educate the ignorant, but you can not fix stupid”. Author unknown. Everybody has the latest cool military gearand they demo it as experts in their backyards. 90 percent of them have never been on a true survival training excursion…..or even a common camping trip for that matter. It is totally ludicrous and ridiculous. This is especially true when you consider that not long ago the majority of these fakers and followers were laughing about all us crazy guys running around in the woods. Then the fad hit anb all of a sudden survival was chic and they were all special force rangers and experts…..give me a break. The good news is that next week when the new fad comes along they will be caught up in that. If you were 50 miles from nowhere, cold, tired, and alone…….your engineering office might seem quite cozy and easy. Watch the statements you make. They sometimes show you up as an arrogant arse. It’s important to challenge misinformation wherever we encounter it. Most people simply can’t recognize the difference between sound information and utter nonsense. It’s not their fault. They have never seen the real thing. By doing this, we positively influence those who will listen. We may not have the reach of “TV personalities.” But we can make a huge difference to the people we encounter.